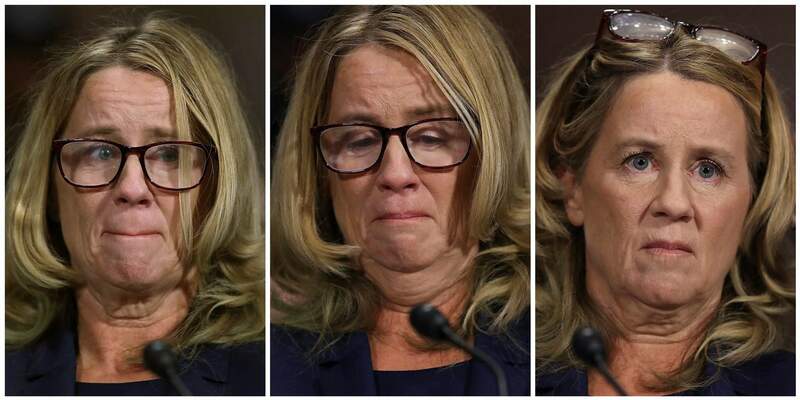 In this photo combination, Christine Blasey Ford testifies Thursday before the Senate Judiciary Committee. In this photo combination, Supreme court nominee Brett Kavanaugh testifies Thursday before the Senate Judiciary Committee. NEW YORK – He let his anger flare repeatedly, interrupted his questioners and cried several times during his opening statement. She strived to remain calm and polite, despite her nervousness, and mostly held back her tears. Glenn Sacks, a commentator who writes often about men’s issues, expressed dismay at social-media derision being directed at Kavanaugh because of his emotional displays.